Hangzhou EKKO Auto Rubber Parts Co., Ltd is one of the most professional manufacturers of automotive rubber parts in China which started from 2001 and its product catalogue includes bushing (lower arm bushing, engine bushing), engine mounting (engine mounts), strut mounts (shock absorber mounting), shaft and steering boots, stabilizer link (sway bar link, link rod, end link), center bearing, friction bearing, timing belt kit. Till 2011, more than 3,000 items available in its factory which are mainly suitable for Japanese/European/American cars, such as Toyota, Nissan, Mazda, Honda, Isuzu, Suzuki, Daihatsu, etc. We supply wide range items to all over the world such as America, Europe, Middle East, Africa and so on. Our products have gained international recognition and acceptance and have been exported to more than 30 countries, like Australia, Asian, Japan, Middle East, USA, Europe, Latin America, etc. 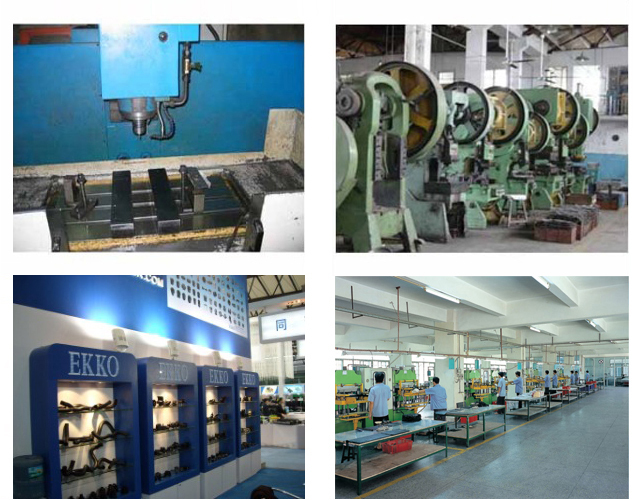 We supply our products to both domestic and oversea OEM and replacement markets. In addition to Natural, Neoprene, Nitrile, EPDM, Silicone, and SBR rubber, we also manufacture Polyurethane products for Hi-Tech Industries application.